Each day now seems to bring a fresh attack by the right-wing news media and Republican lawmakers on special counsel Robert Mueller and, with him, every single American institution—including the press and the FBI—having to do with the investigation of the crimes committed by Donald Trump. Sarah Huckabee Sanders, White House press secretary, calls for investigations of the investigators. Fox’s Sean Hannity demands nightly the “shutdown” of the Mueller investigation. Judge Jean Pirro, the Fox TV star who violates conflict of interest norms because of her role as a Trump adviser, calls nightly for the firing of Mueller. Of course, Trump and his inner circle do have a lot to worry about, but it is not the “fake media” or Robert Mueller that should cause them worry, but rather their own (mis-)deeds. Michael Flynn had to give Mueller a lot of dirt in order to get off with just a charge of lying to the FBI. It is almost certain that Flynn has already told Mueller that his instructions to lie to the FBI came from Trump himself. In short, Mueller probably already has the evidence he needs to charge Trump with impeachable offenses. It is simply now a matter of collecting more evidence to corroborate testimony he already has. It is even possible that Mueller already has plenty of documentary evidence to back up the testimony he’s gotten from Flynn—which would explain why Trump’s acolytes in the media are so gung-ho about removing Mueller as quickly as possible. But the sleaze and potential crime go way beyond the collusion and conspiracy around the Russiagate case. The wheeling and dealing with gangsters and money laundering by Trump, his family, and closest associates open up countless other avenues for investigators. Witness the October assassination in her native Malta of Daphne Caruana Galizia, a reporter with the International Consortium of Investigative Journalists, the outfit that brought the world the “Panama Papers.” From those documents, it has been revealed that Ivanka Trump got help for her father’s Panama hotel by employing international gangsters tied to Russian money launderers. Caruana Galizia’s killing with a car bomb is being described as a classic mob-style hit job. Already, ten who were implicated in her assassination have been arrested on the island of Malta, a country whose government has its own deep connections to international gangster elements. These shady elements are just the type that the Trump family has cavorted with for years. 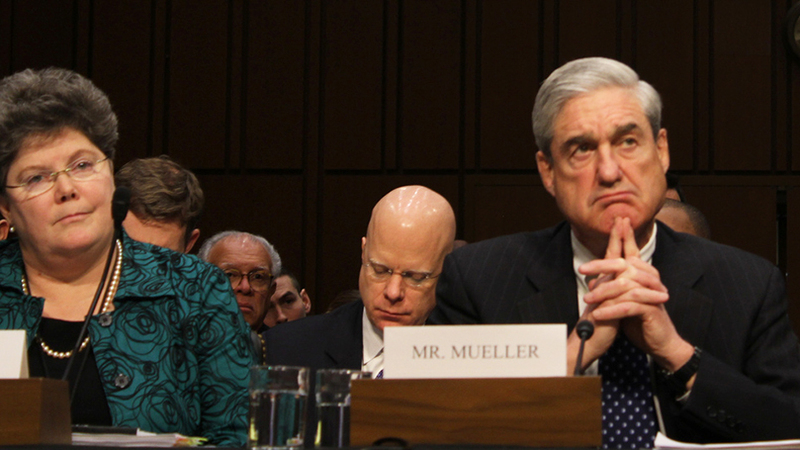 Mueller must be allowed to finish his probe. Discovery of the whole truth is the surest path to saving our democracy. As painful as the process might be, the Trump alternative—disparaging and destroying all the institutions that protect democracy in America—is a horror too great to even contemplate.